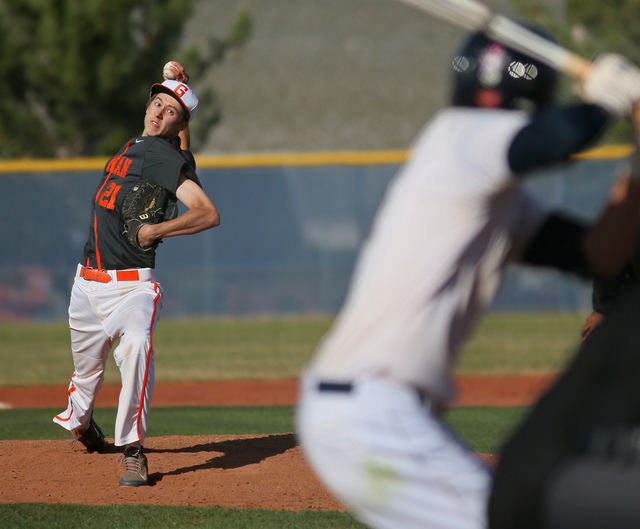 Bishop Gorman High School”s Chase Maddux, the son of Hall of Fame pitcher Greg Maddux, signed a letter of intent with UNLV on Wednesday, capping his journey from an undersized, seldom-used pitcher to Division I prospect. Chase Maddux arrived at Bishop Gorman’s signing day ceremony wearing black slacks, a black dress shirt and a scarlet tie. The senior for the Gaels baseball team wasn’t about to miss an opportunity to wear the colors of his future school. “UNLV has always been my team,” he said. Maddux, the son of Hall of Fame pitcher Greg Maddux, signed a letter of intent with the hometown Rebels on Wednesday, capping his journey from an undersized, seldom-used pitcher to Division I prospect. Maddux was one of eight Gorman students honored at the school Wednesday, the first day of the spring signing period. Several other area athletes are expected to sign before the period ends May 20 for Division I basketball and Aug. 1 for all other sports. “It’s a dream come true,” Chase Maddux said. “Growing up and playing baseball, your ultimate dream is to play at a Division I school, and I finally get to do that next year. 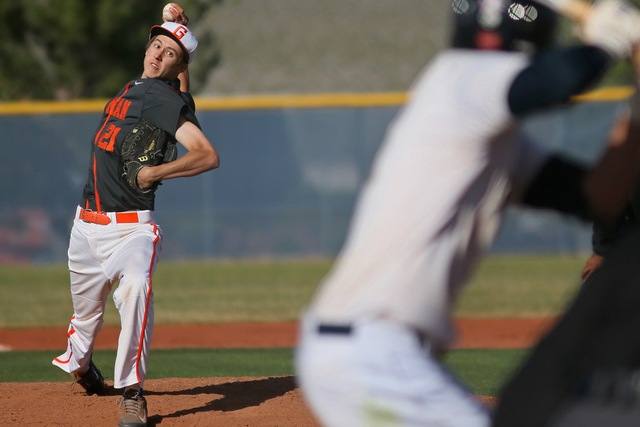 Maddux did not make Gorman’s varsity team his first two years at the school, and last season he made only five appearances, going 1-0 with a 1.70 ERA in 12 1/3 innings. As a senior, Maddux established himself as part of the Gaels’ starting rotation under first-year coach Gino DiMaria. The right-hander struggled in his most recent start, allowing seven runs in 2 1/3 innings in a loss to St. Francis (Calif.) on Saturday, but is 3-1 with a 4.11 ERA in 15 1/3 innings for top-ranked Gorman (17-2). Maddux, whose fastball tops out in the mid-80s, is known for the movement on his pitches, much like his father was during a 23-year career that included 355 victories. Maddux said he’s unsure whether he will be used by the Rebels as a starter or out of the bullpen. UNLV did not officially announce its signees, and Rebels coach Tim Chambers cannot comment on Maddux until that time. Maddux is listed at 6-foot, 140 pounds and is expected to redshirt his first season at UNLV. The Rebels were his lone Division I offer. Other notable locals to sign Wednesday were Palo Verde boys basketball player Grant Dressler (Sacramento State) and Findlay Prep boys basketball player Horace Spencer (Auburn). Centennial baseball player Jake Portaro is expected to sign with Utah during a ceremony at 12:30 p.m. today at the school.